Chandigarh-based SoCoMo Technologies Pvt Ltd, which runs on-demand delivery services and urban transport aggregator startup Jugnoo, has closed its Series B round with a total of $5.5 million (around Rs 37 crore), with $2.5 million raised in the final tranche. Existing investors Paytm and Snow Leopard Technology Ventures participated in the round, with Paytm leading it. The funds will be used for geographical expansion, improving supply quality and charting an incentive programme for drivers and marketing, it said in a statement. In November last year, Jugnoo had raised $3 million as part of its first tranche of Series B funding round led by existing investor Paytm. Freecharge CEO Kunal Shah and other investors had also participated in that round. "We will invest this funding to increase our presence to 25 more cities over the coming six months and provide access to the remotest corners of the country," said Samar Singla, CEO of Jugnoo. Earlier this month, Techcircle.in had reported that Jugnoo was in advanced talks to raise its Series C round of funding, which would give it a medium term investment runway to expand its business. The report also mentioned that the firm was planning to raise $30 million (around Rs 202 crore) from a bunch of other investors besides One97 Communications Ltd, the parent of Paytm. The proposed deal, if and when it indeed does goes through, would also make it one of the fastest to bag a follow-on VC funding round. In May 2015, the delivery services startup had raised $5 million (Rs 32 crore) in Series A funding from Snow Leopard Technology Ventures, Paytm and other investors. Before that, it raised $1 million from Rakesh Mathur, co-founder of Junglee that was acquired and relaunched by Amazon; Vikas Taneja, partner and managing director of BCG Group; Kirloskar Brothers and others in a seed round in early 2015. 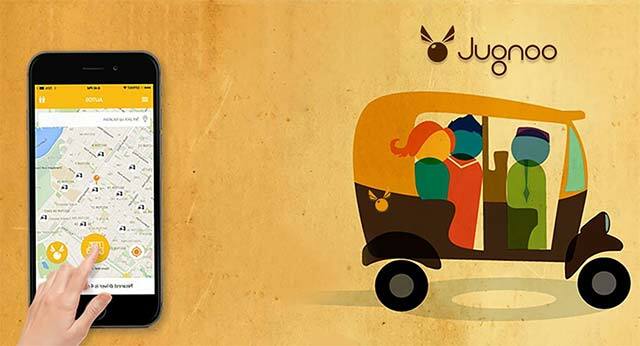 Founded in November 2014 by by IIT Delhi alumni Samar Singla and Chinmay Aggarwal , Jugnoo focuses on four segments—auto booking services, taxi aggregation, online ordering and home delivery of meals and groceries. The taxi aggregation play was added in July last year when Jugnoo acquired BookMyCab in a cash and stock deal. In September,Jugnoo acquired restaurant discovery app Bistro Offers and mobile-only services marketplace yelo.red.